The modern smartphone is enmeshed into the modern lifestyle. Unlike the phones of yesteryear, these little or in the case of phablets, not-so-little brainiacs are capable of doing most of the things a computer is capable of. But in the realm of communication, which is the primary, most fundamental function the smartphone serves, it has completely transformed the way in which we connect. Long gone are the days where calls and only SMS texting delineated the method through which we’d say ‘ello. 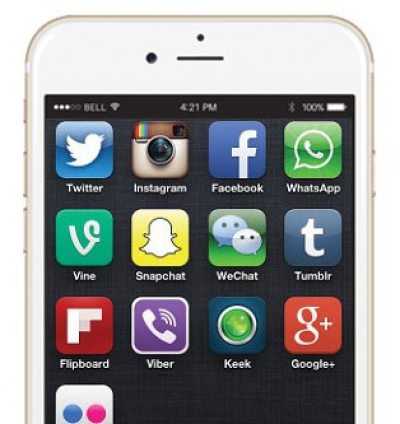 Video calling, once an outlandish Jetsons-esque fantasy, is now the norm, and through various platforms; we have thousands of apps that perform very specific purposes - like Snapchat, Instagram, Whatsapp, and Viber. All of these are essentially doing the same thing (offering a place of communcation), but are doing so in a slightly different way, with a slightly different emphasis. Dating apps have enabled even the most reclusive of us to play the field while comfortably clad in our pajamas, perhaps while we’re sitting on the loo. Ultimately, the smartphone is an accessory to the modern human that we rely on about as much as we rely on trees. Naturally then, the smartphone has created a bridge between businesses and consumers that is a product exclusively of the 21st century. Prior to the mobile’s advent, businesses couldn’t develop any sort of intimate relationship with customers. They could only communicate with customers via landline phone numbers, by sending out letters and coupon booklets through snail mail, when customers were physically in store, and then later, in the 20th century, by email. The ability to reach customers anywhere, at any time, is a luxury businesses are now afforded, whose door was opened at the hands of the smartphone. Of course today, all of those 20th century avenues through which businesses can connect with their customers are still open. Which just means there are more opportunities, more platforms, different methods businesses have available to them to tackle their target markets, and with that, much more to consider when taking that step. So with the modern business being drowned in a digitised ocean of communication channels—how does one determine the best, most direct and effective route to the minds of your customers? It’s a tricky question to answer, because there’s not, alas, a one-size-fits-all approach any given business can or should draw. With that said then, let’s take a closer look at four modern communication methods available to the modern business, and see how they fair up against one another. 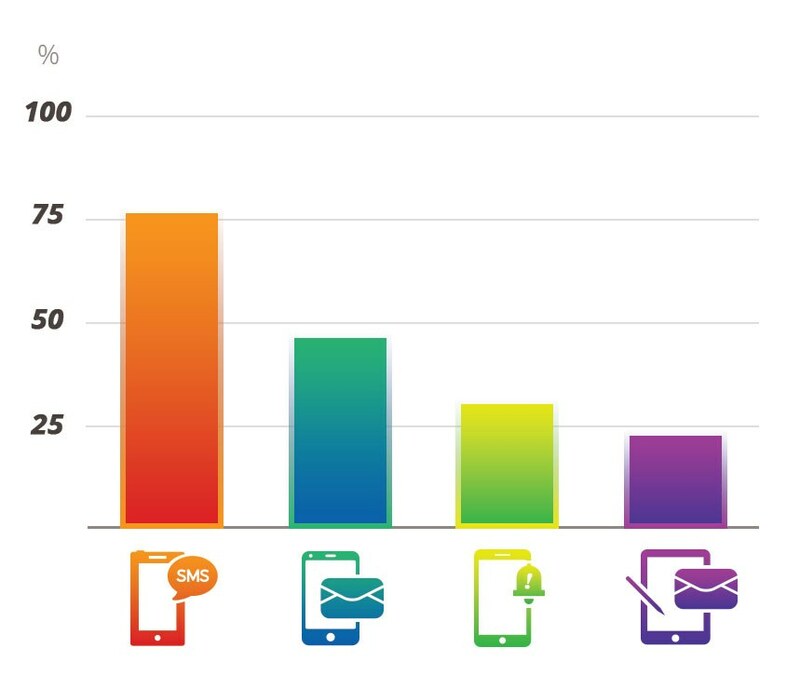 According to the Transactional Messaging Consumer Report 2016, 78% of consumers said a text message was the fastest way to communicate with them, higher than email to a mobile phone, a push notification, or even sending an email to a consumer’s computer or tablet device. Below are the percentage breakdowns of consumers surveyed, along with their prefered channel methods of communication. 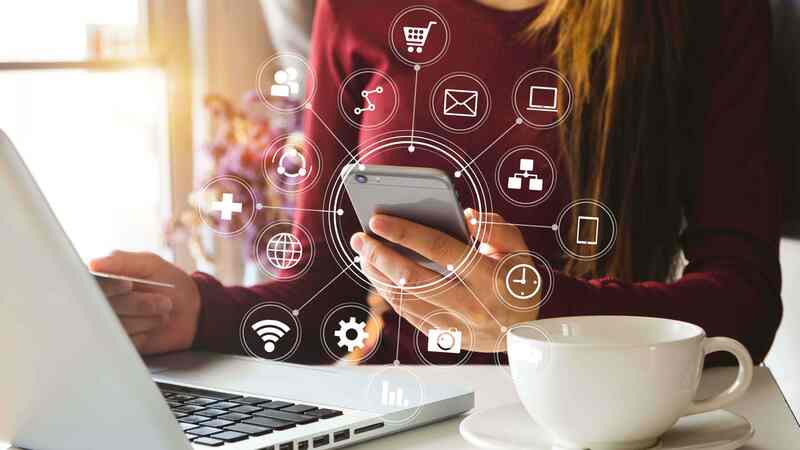 One of the first, more modern digital means of B2C communications, SMS continues to hold its ground as perhaps the most ways by which customers prefer to be contacted. In fact, 78% of consumers believe that SMS is the fastest way to reach them; coupled with that 97% of SMS are actually read, and over 90% of those are read within 3 minutes of being received, SMS shines brighter than ever as a (if not the) preferred contact point for customers... (stats). Next to the SMS, emails accessed through the mobile are the next quickest way to reach customers, according to customers themselves, with 48% of customers surveyed indicating that it is the fastest conduit to reach them. Although push notifications might seem like the perfect way to reach your customers, especially if you’ve already got an app that you want to make the most of, they’re not as effective as you might think. Only 32% of consumers surveyed said that push notifications were the fastest way to reach them. Which is understandable when you think about it. Newer smartphones are constantly bombarded with push notifications that range from simple app updates to requests to use your GPS location. In short, push notifications can be annoying. And alas, important push notifications that actually provide value to a user are often dulled by the white noise of other generic push notifications that we actively ignore. Although tablets are technically mobile devices, because of their size they are typically used at home, like laptops. The only truly mobile device, technically and practically, is the smartphone. Thusly, only 27% of consumers surveyed believe that emails accessed from their tablets are the quickest way to reach them. Newer doesn’t always mean better. 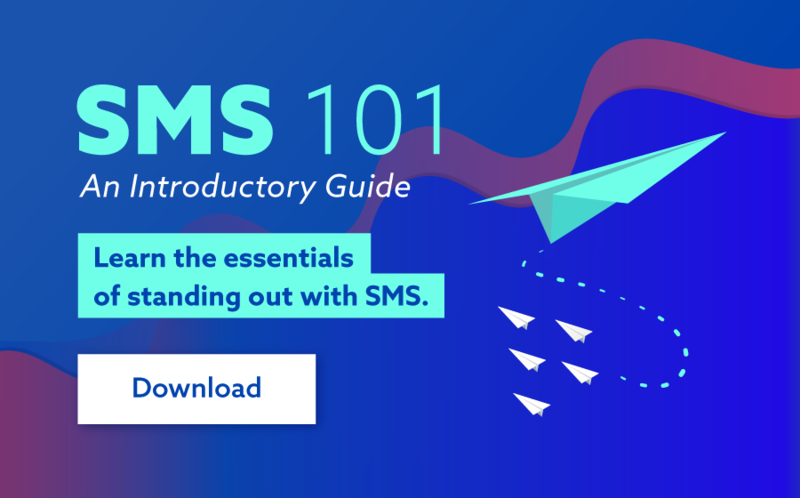 While it’s true that SMS is an old service that now competes with thousands of other communication channels, it still remains, with all things considered, perhaps the most preferred ways that customers want businesses to reach out to them.